This has nothing to do with writing at all, you guys, I’m sorry. But I totally just successfully made my own contouring creme. Usually, I’m not into makeup DIY’s (sometimes the ingredients cost me more than just buying the product I need). But I just so happened to already have everything I needed in the house and chances are, so do you! If you don’t have everything, the ingredients are pretty cheap and easy to attain. A lot of you have probably noticed I am pale AF. 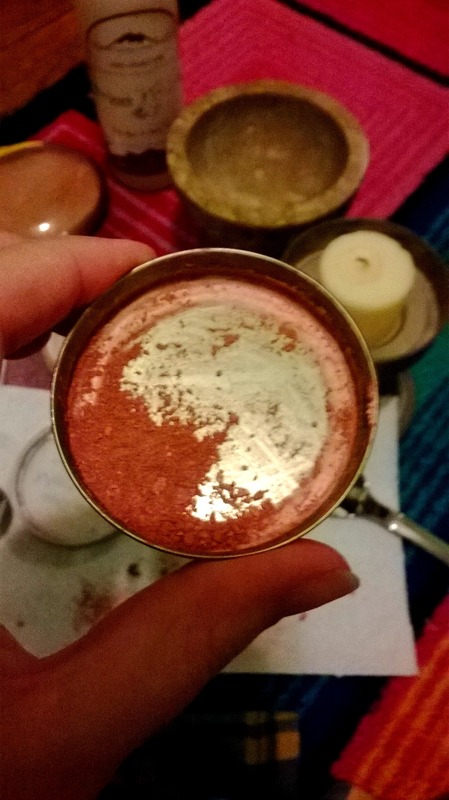 Bronzers don’t do anything other than make me look gross and more refined sculpting powders are out of my price range at the moment. Powders and I don’t get along very well. I need a creme because it’s easier for me to build up the color I need and blend, also because (especially in the winter) my skin is super dry. I’ll stop rambling now and get to the ingredients. A loose powder (or a pressed powder that you don’t mind breaking up) in the color that best meets your needs. Any other various measuring spoons and utensils to make your life easier. Btw. This is a messy project, but it has a fairy easy and quick cleanup. Everything together pretty much looked like this. I used a soapstone mortar and pestle that I used for mixing, and trust me it is SO MUCH EASIER to clean out that soapstone. But use whatever you have available. I didn’t have any loose pigments (because I am poor) so I ended up using two different pressed ones. 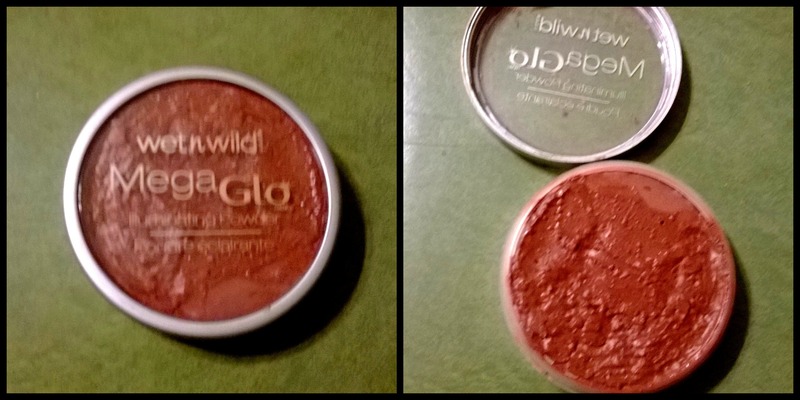 I used Wet n’ Wild’s MegaGlo in “Spotlight Peach” which was a liiiitle bit too pink, so I added in a few shavings of Wet n’ Wild’s ColorIcon bronzer in what I think was “Reserve Your Cabana” (but I’m too lazy to go into the other room and check). The ColorIcon is like, $2.99 at Walgreens and I think the MegaGlo is like $4.29 or something like that. 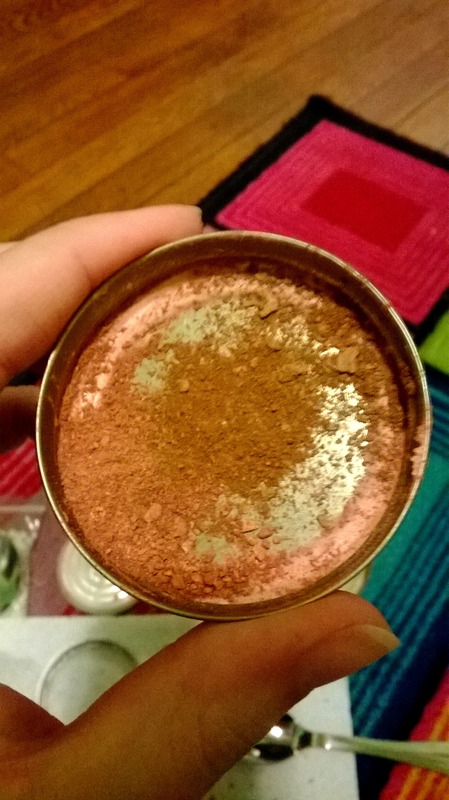 So the first thing I did was break up my powders. I completely de-potted the MegaGlo (and would later use the empty pot for the new product) by breaking it up a little and then scraping it out. I continued to break it up until it was as fine as I could get it (I used the edge of a plastic spoon for this, in the interest of washing as few utensils as possible. Then I added in a little bit of the bronzer. I did this just by taking the other end of the plastic spoon and rubbing it across the surface until I was satisfied with the amount I had. 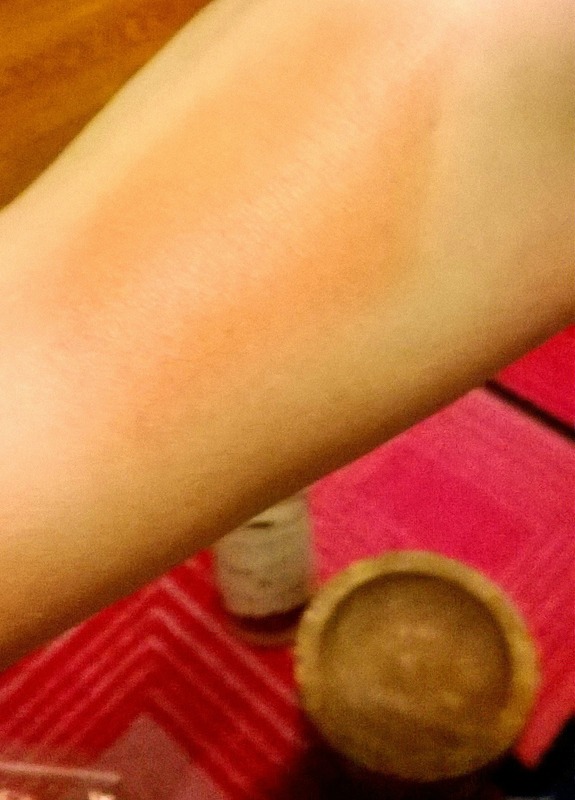 Then I swatchy-swatched the powder to make sure I had the color I wanted. Once I had that done, I set it aside and went ahead and measured out my oil (I used about 1-2 tsp) and put it in my mortar. Then I took about (1/4 tsp) of beeswax in a metal spoon and melted it over a candle. About halfway through this project my candle crapped out on me and I had to resort to using the lighter. For three thrilling seconds I thought that this must be what it’s like to use heroin (no, not even close, I’m sure). Then I quickly mixed my powder, oil, and melted wax together. There are no pictures of this process because the wax was already starting to set again. Once I had finished mixing, I actually had to gather up the new product and heat it again before pouring it into the pot to get it as smooth as possible. It took me doing all of this twice to fill up my pot completely. Depending on the size of your container, your experience may differ. I put the container of product in the fridge for 30 minutes to help it set. These pictures are of before it went into the fridge. The product looks a little gnarly in the container, but it is smooth and applies wonderfully and cream-ily (?) (Let’s just make up words, Cy). I tried to smooth it out the best I could, but I’m sure with practice and fewer pauses in between filling up the container you could get it to look all nice and professional. I’ll let you guys know how well it works out for me as a contouring creme. I know it looks super dark (and it is super pigmented when it goes on) but never underestimate my ability to blend. 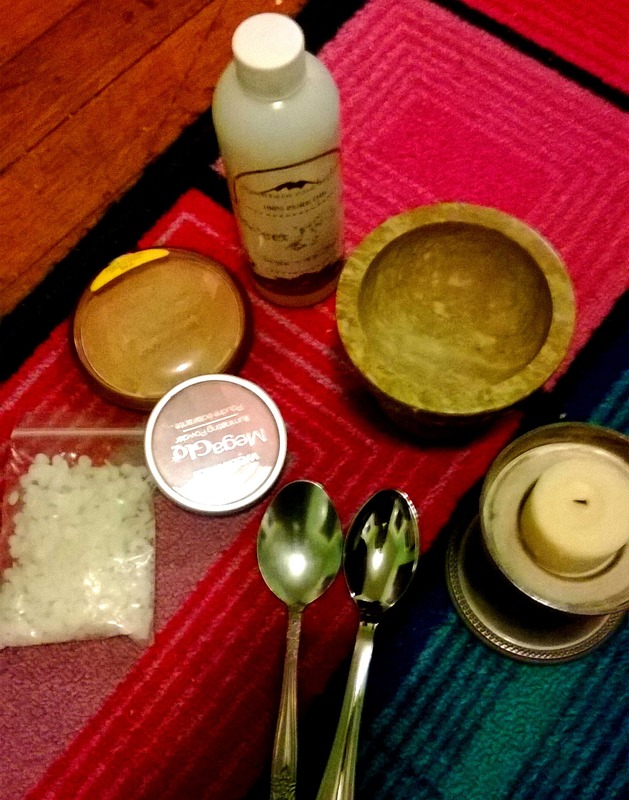 My mortar and pestle, almond oil, and beeswax were all found at the Sojourner in Greenville, NC. They are conveniently having a sale from now until December 1st so if you are in the neighborhood, you can swing by, pick up the ingredients and try this for yourself! ← Halloween Deals – My Halloween Love to You!